Alba Arikha was born and raised in Paris, in an artistic household. Her father was the painter Avigdor Arikha, her mother is the poet Anne Atik. Her godfather none other than playwright Samuel Beckett. She studied the piano for many years before turning to writing and now splits her time between her books and performing as a singer-songwriter. Her memoir, Major/Minor, about her adolescence in Paris, was shortlisted for the Spear’s Award and selected among the best books of 2012 by The New Yorker. Her last book, a narrative poem, Soon, was set to music and performed as an opera at the Riverside Studios, London. 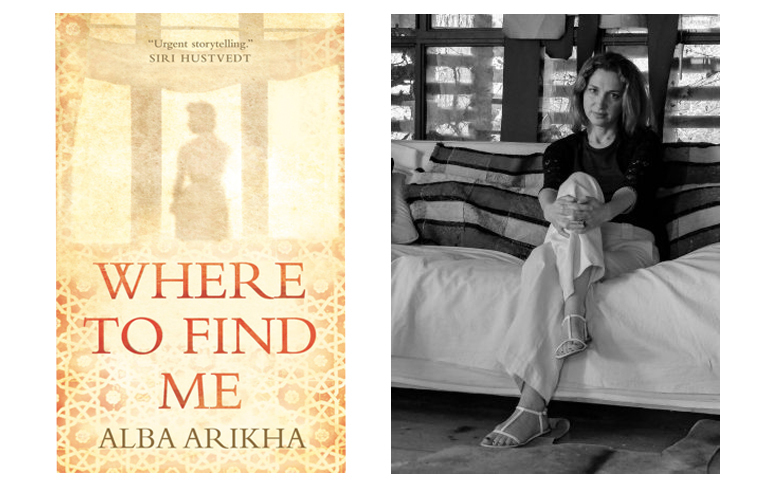 Where To Find Me is an inspiring account of how to face and overcome the effects of loss and tragedy in our daily life. Hannah Karalis, a teenager living with her family in 1980s Notting Hill, becomes fascinated by her neighbour, Flora Dobbs, an enigmatic elderly woman who has clearly had an interesting past – but the improbable friendship that the two strike up is abruptly cut short by Flora’s sudden departure from the neighbourhood. Eighteen years later, Hannah is astonished to receive a black notebook, which sets her on a quest to discover the truth and to confront the ghosts of an unresolved past.